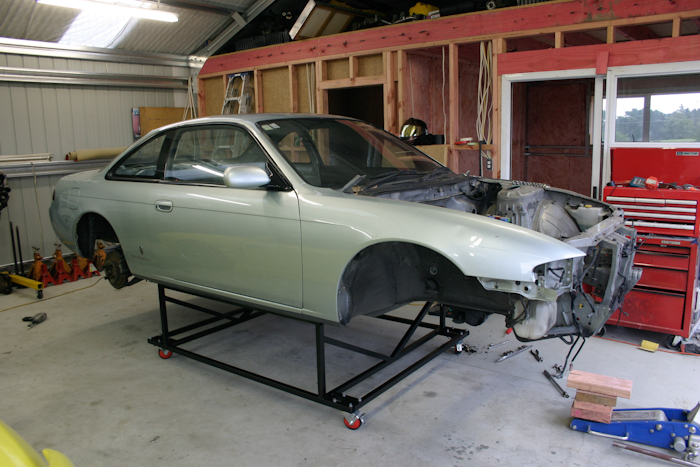 The corolla is looking more and more like a car nowadays, so time to get started on Adams new car. Since theres going to be a whole lot of work under the car, and we lack a hoist, Adam decided to build something to make work a bit easier. 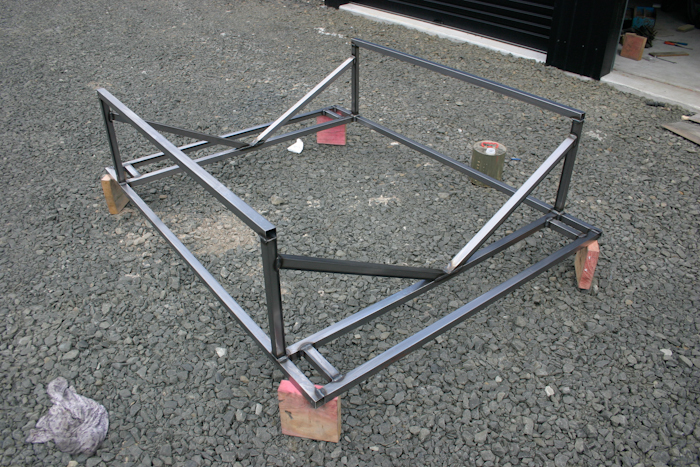 First up was a square tube frame, then added caster wheels and paint. Rolls around with ease and each wheel has an individual brake. Super handy.